The king of contemporary country is on tour again this summer, and it's going to be HUGE! Bringing the party to Blossom Music Center on Thursday 11th August for two wild nights of red hot country music, Luke Bryan is going to Kill The Lights and get you dancing like never before! And with Little Big Town and Dustin Lynch in tow, there's a lot of bang for your buck! 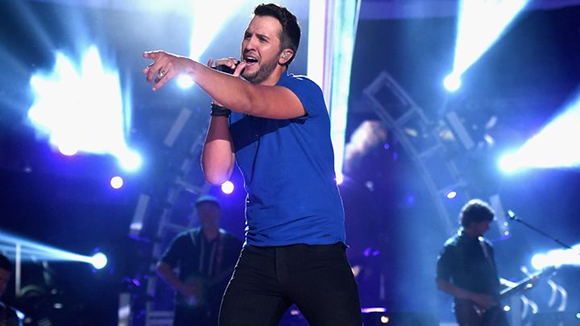 In the early 2000′s, Luke Bryan started his music career writing for other country artists such as Travis Tritt and Billy Currington. His debut album, I’ll Stay Me, came in 2007 and was a huge success both critically and commercially, establishing him as a country star in his own right and earning him numerous awards including: Top New Solo Vocalist and Top New Artist at the Academy of Country Music Awards, USA Weekend Breakthrough Video of the Year (for "Do I") at the CMT Music Awards, and New Artist of the Year at the Country Music Association Awards. His following albums and EPs have achieved similar success both financially and in review, earning him both the Academy of Country Music Awards & Country Music Association Awards "Entertainer of the Year" award. 2015 saw the release of Bryan's fifth studio album Kill The Lights.